Over eighty years ago, Constantine Vrola came to America from Naples, Italy to start a new life. Along with his family, he opened a small market called C. Vrola and Sons in Jersey City, NJ. As he developed his trade, Constantine went to market on a daily basis to find the freshest meat and poultry for his customers. In 1939, with the beginning of World War II, Constantine’s two sons, Joseph and Arthur, were drafted into the military. During that time, Constantine, his wife, four daughters and one remaining son, were left to run the family business. Food rationing was commonplace throughout the country during the war, making business extremely difficult. Through hard work, long days and dedication, the Vrola family kept the business strong. Joseph and Arthur were lucky to return home safely and charged with taking over the family business. Arthur ran the dry food and grocery section of the store while Joseph handled the meat and poultry portion of the business. The Vrola butcher shop began supplying small supermarkets in the area. 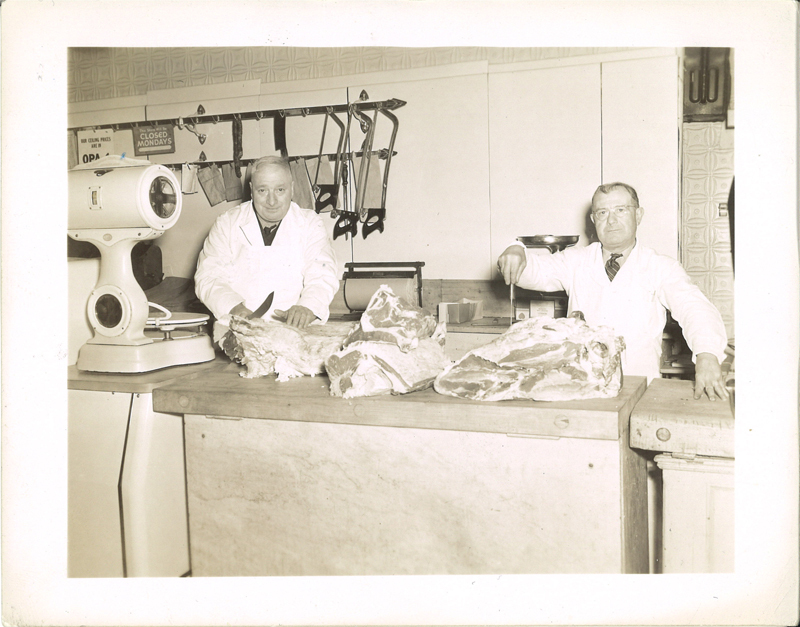 Other local butcher shops also began purchasing products for their own daily needs. In addition, they sold bulk packages and cut meat products to a variety of nearby restaurants. As the years progressed Joseph Vrola Jr. began working in the family business. He expanded the distribution of the shop into further areas of New Jersey. Then in 1986, the old C. Vrola butcher shop was demolished and redevelopment began. Joseph Jr. purchased a building in South Amboy, NJ. for the purpose of distributing products throughout the tri-state area. In 2011, J. Vrola was acquired by Porky Products, Inc., a leader in retail meat distribution in the tri-state area. With continued growth over the years, an addition to the South Amboy facility was completed in 2017 which doubled the capacity and added a variety of items, including fresh custom portioned seafood. In coordination with the addition, the company rebranded itself as “Vrola – Center of the Plate Specialists” to better represent the increased product assortment and underscore the commitment to service. To this day the traditions of the Vrola and Porky family continue on. We are committed to satisfying our customers by providing the highest level of quality, service and products with the utmost integrity.